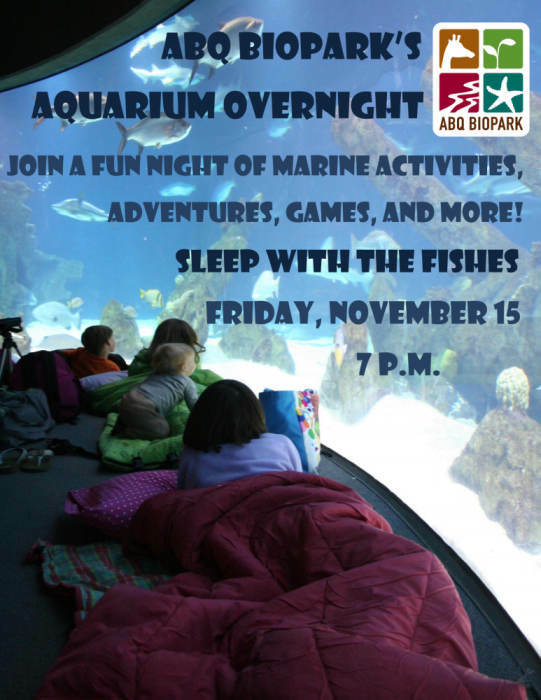 · Learn about ocean species and their fascinating nighttime behaviors at this fun and unique event! · Play games, visit discovery stations and create at craft tables. · Meet marine animals up close at the mangrove and invertebrate touch pools. · Relax during our ocean-themed film in the Aquarium Theater. 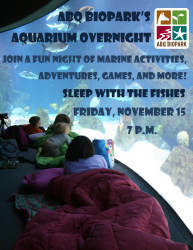 · When the lights go out sleep next to your favorite Aquarium exhibit.